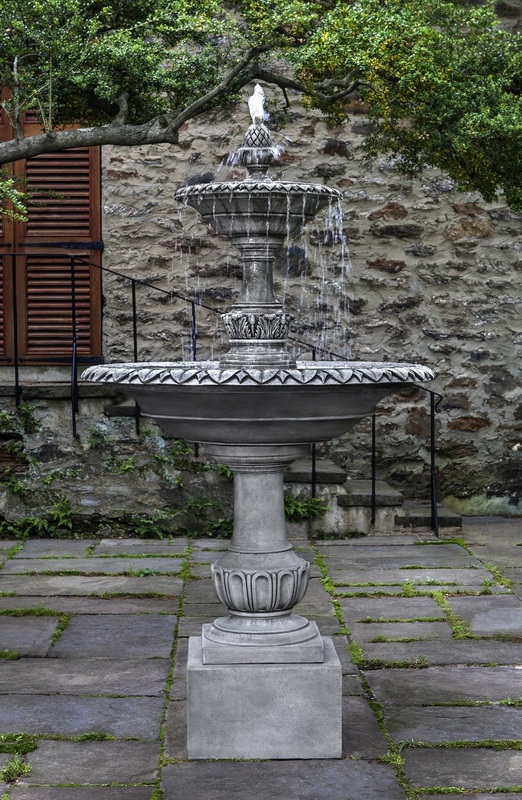 The Charleston Fountain has multiple tiers and stands atop a pedestal. There is a version with a large basin that can be found here. DIA 46.5" H 83.5" | 913 lbs.